The statistics on ministers in North America are heart breaking. Various different sources have reported on different issues, but some that stand out include: 1,500 pastors leaving the ministry for good each month, 50% of pastor’s marriages ending in divorce, 80% of pastors are discouraged in their role, 80% of pastors report that ministry adversely affects their family, 70% of pastors say they do not have even one close friend (quoted from J.R. Biggs, Fail: Finding Hope and Grace in the Midst of Ministry Failure). Much of this likely has to do with our current church culture and our obsession with doing more, bigger, and faster. As a pastor who was on the more, bigger, faster track, Zack Eswine can speak directly to this temptation. 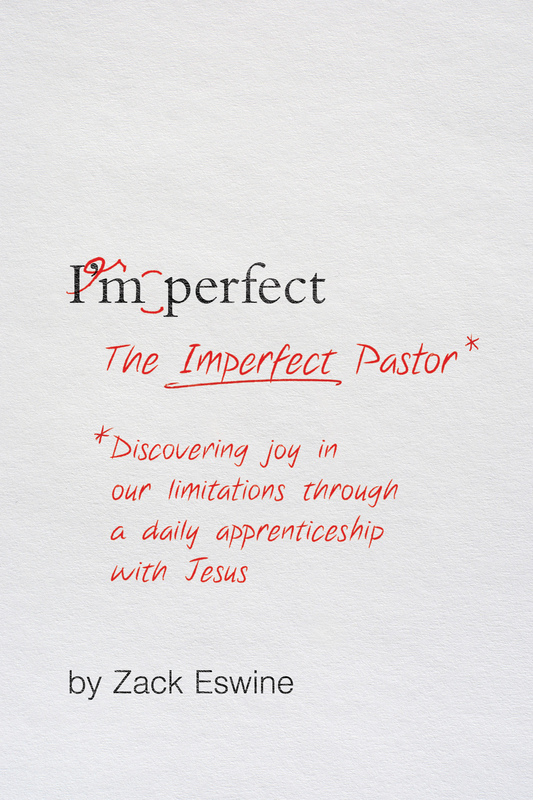 He became a Senior Pastor at 26, grew the church from less than 100 to over 200 in only a couple years, earned a PhD, taught at a seminary, and wrote award winning books. Then his wife left the faith and their family. The ensuing years would become a classroom. Jesus was teaching him how to pastor as a human being; a man with weakness and limitations; a man bound by time, space, temperament, and genetics. Yet, so much of our church culture insists that we transcend those very human limitations. From our hiring practices to growth goals and the present insistence on “automation” and maximizing our influence. Dr. Eswine is calling us back to the timeless work of Jesus - fully present, fully attentive to the person in front of him. He is calling us back to the simple, unglamorous care of souls. He is calling us back to the way of Jesus.